Director Kaname Fujioka speaks out on the likelihood of bringing Monster Hunter: World to the Switch, and things aren't looking good. Monster Hunter is a popular series that has proven to be a staple franchise across various Nintendo consoles, with a number of series releases landing on Big N hardware dating as far back as the original Wii. With that said, despite the series' popularity, many of fans' favorite Monster Hunter games haven't earned proper Western releases. Developer Capcom aims to change this with Monster Hunter: World, the latest and seemingly the biggest title in the series so far; unfortunately for Nintendo fans, it seems that Capcom feels like the modern Monster Hunter recipe isn't a good fit for the Nintendo Switch. 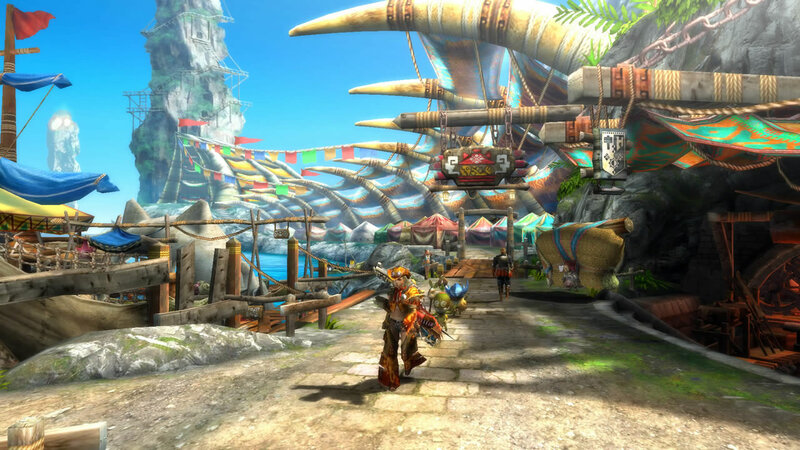 As reported by Eurogamer, game director Kaname Fujioka stated that games in the Monster Hunter series had always been "based around utilizing the hardware we had at hand," which explains the number of series spin-offs on mobile and portable hardware. Now that the team has access to much more powerful technology, the focus has shifted to bringing that familiar Monster Hunter flavor to fully-fledged home consoles. However, when asked whether or not Monster Hunter: World would land on the Nintendo Switch, Fujioka stated that Capcom hadn't planned on porting the game to Nintendo's latest console. "Unfortunately we can't really say at this point," Fujioaka said. "There's no room to say we're porting our current software to Nintendo hardware. It comes down to what we've already said - we want to deliver the perfectly adapted game for the hardware we have in mind. That was our design concept, and our mission from the very beginning. Being able to adapt Monster Hunter for those systems - adapting that to different hardware doesn't really work this time around. But in the future, thinking of something like the Switch, we'll think about how to adapt it for that platform." Even though Nintendo Switch players might be left out in the cold, unfeeling void left by the lack of the series' latest entry, Monster Hunter fans on the PlayStation 4, Xbox One, and PC will apparently have plenty of incredible action to look forward to. In particular, several different elements of the game have been overhauled to make use of these systems' more powerful hardware, including seamless online cooperative play, revamped menus, much deeper character customization, and a general open-world vibe that wasn't possible on past consoles. Players won't have to wait long to get their hands on the series' latest entry, as Monster Hunter: World is slated to release for PlayStation 4, Xbox One, and Windows PCs on January 26, 2018. In the meantime, pass the time waiting to slay epic beasts by checking out the game's E3 2017 gameplay trailer, featured below. I can't play 3DS games anymore. Switch is too good. I'm still in awe whenever I turn it on. That little screen looks insanely good in my hands.